This week contained the 10th Anniversary of The Witcher series of video games, and I think it’s appropriate that we celebrate Geralt, the lovable protagonist of those games. Personally, I think that Geralt might be one of the best characters in contemporary games. He’s often conflicted about his choices, has a sense of humor about himself, and tends to view violence as the last option open to him. He also has a thing for stuffed unicorns. 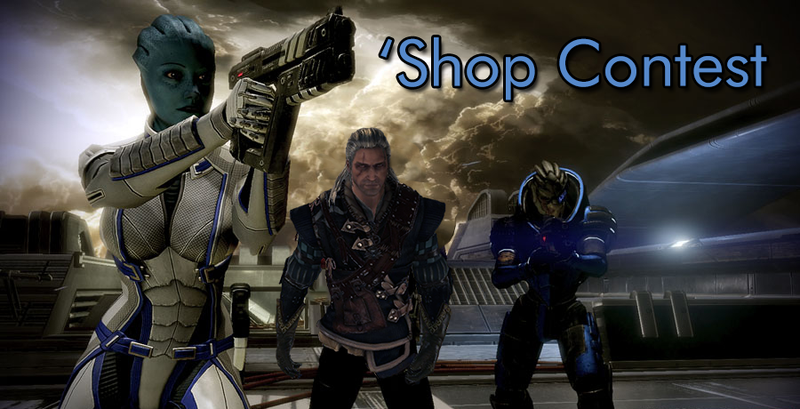 I thought it would be appropriate to dedicate this week’s ‘Shop Contest to Geralt. While Soulcalibur 6 has developed the good sense to import him into their game, there are still a lot of games that don’t have even one Geralt in them. As you can see above, there’s at least one space-faring sci fi series that could do with a little bit of work from the master of steel and silver blades. After all, the Rachni Queen questline that stretches through that series is something that Geralt would have navigated without a problem. They need him. Help me celebrate The White Wolf, Geralt the Witcher, this week. Put him in new games, make him a happy anniversary card, or put him in a scenario that you know he would love. Make him happy! Good luck, and I wish you well in your celebrating. The rest of the instructions are below. Kotaku &apos;Shop Contest: Give Me All The Dogs, Winners! Kotaku &apos;Shop Contest: Everyone Loves Boats, Winners! Kotaku &apos;Shop Contest: A New Challenger Appears, Winners!